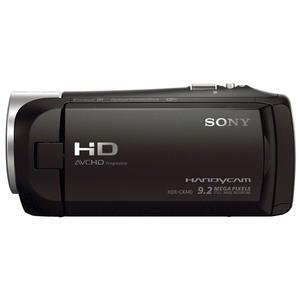 The Sony Handycam HDR-CX440 8GB Wi-Fi 1080p HD Video Camera Camcorder creates cinematic video in high definition 1920 x 1080 24p/60p up to 50Mbps and high quality 9.2MP still images. Not only is this 26.8mm wide-angle ZEISS Vario Tessar lens ideal for capturing grand landscapes, but also allows you to get amazingly close with 30x optical zoom plus 60x Clear Image digital zoom. 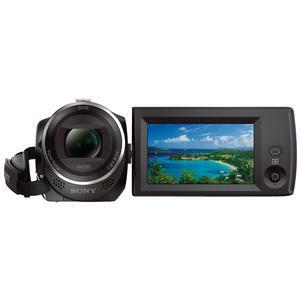 The 2.7" Clear Photo LCD displays sharp, bright, vivid images, letting you compose a shot more easily. Optical SteadyShot image stabilization with Active Mode compensates for greater degrees of camera shake to deliver stunningly smooth video. Highlight Movie Maker produces a short highlight movie clip to share and enjoy instantly. Connect, control, backup and share wirelessly with NFC and Wi-Fi. Get creative with seven picture effects for video and still photos. Record using the 8GB of internal memory. 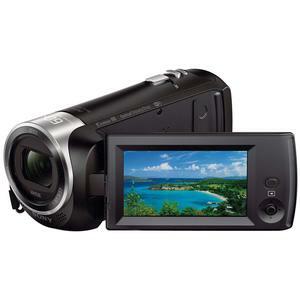 Create cinematic video in high definition 1920 x 1080 24p/60p up to 50Mbps in XAVC S and high quality 9.2MP still images. XAVC S3 format uses MPEG-4 AVC/H.264 for video compression and linear PCM for audio compression, while saving files in a MP4 wrapper which allows for extensive record times and easy editing. Experience stunning low-light sensitivity with improved image clarity and drastically reduced grain with Sony's back-illuminated Exmor R CMOS sensor. Not only is this 26.8mm wide-angle ZEISS Vario-Tessar lens ideal for capturing grand landscapes, but also allows you to get amazingly close with 30x optical zoom plus 60x Clear Image digital zoom. 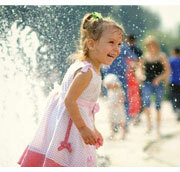 Most digital zooms use electronic cropping to get closer to the subject, resulting in un-sharp images. With Clear Image Zoom the powerful processor compares patterns found in adjacent pixels and creates new pixels to match selected patterns, resulting in more realistic, higher-quality images. 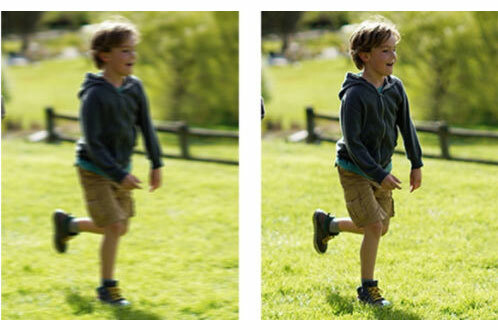 Clear Image Zoom doubles optical zoom for closer photos and video. The 2.7" (16:9) Clear Photo LCD (230K) displays sharp, bright, vivid images, letting you compose a shot more easily -- even outdoors, while enabling you to change settings to best represent the scene. Optical SteadyShot image stabilization with Active Mode compensates for greater degrees of camera shake to deliver smooth video from wide angle to full telephoto. In addition, innovative 3-Way Shake-Canceling adds electronic roll stability for even smoother video. 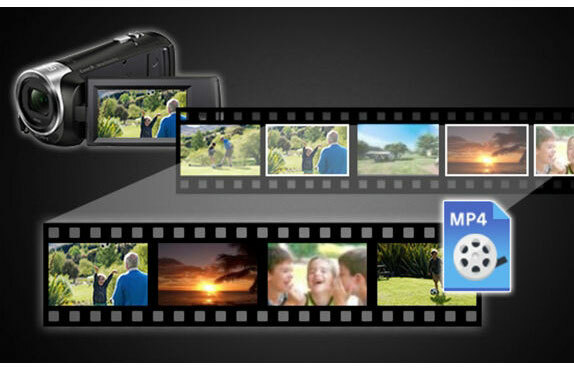 Easily connect to an Android or iOS smartphone or tablet with Wi-Fi and the PlayMemories Mobile app to control the camcorder (Rec, photo, zoom) or instantly transfer and share movies and photos via your mobile device. NFC (Near Filed Communication) makes it even easier to connect to NFC compatible mobile devices with one touch. Share the adventure as it happens via Ustream live streaming. Now your circle of friends and family can share the excitement in real time by simply logging in to Ustream from anywhere. You can also link your favorite social accounts with the streaming to notify your friends when you start streaming video. Add a different point of view by including other camera angles to your movies. 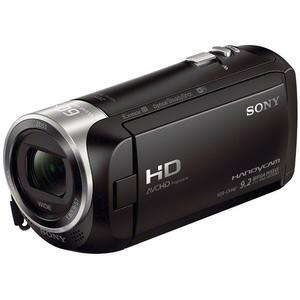 The camcorder connects to compatible cameras -- like an Action Cam -- via Wi-Fi and uses the camcorder's LCD to preview what the other cameras are seeing and simultaneously start recording on all synced cameras. Use PlayMemories Home to easily edit a muli-view movie for a great video experience.